K-1: World Grand Prix 2010 in Seoul Final 16 from October 2nd, 2010 in Seoul, South Korea. 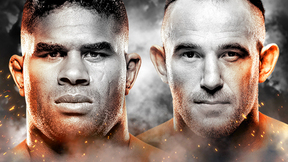 "UFC Fight Pass is not affiliated with or endorsed by K-1 Global." Hyun Man Myung vs Min Ho Song K-1 World Grand Prix 2010 in Seoul Final 16 Sat, Oct 2, 2010 (4:01) Hyun Man Myung vs Min Ho Song K-1 World Grand Prix 2010 in Seoul Final 16 from October 2nd, 2010 in Seoul, South Korea. 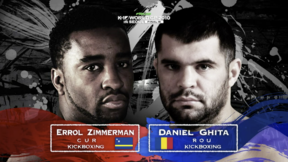 "UFC Fight Pass is not affiliated with or endorsed by K-1 Global." Dzevad Poturak vs Chalid Arrab K-1 World Grand Prix 2010 in Seoul Final 16 Sat, Oct 2, 2010 (17:13) Dzevad Poturak vs Chalid Arrab K-1 World Grand Prix 2010 in Seoul Final 16 from October 2nd, 2010 in Seoul, South Korea. "UFC Fight Pass is not affiliated with or endorsed by K-1 Global." Sergey Kharitonov vs Takumi Sato K-1 World Grand Prix 2010 in Seoul Final 16 Sat, Oct 2, 2010 (12:02) Sergey Kharitonov vs Takumi Sato K-1 World Grand Prix 2010 in Seoul Final 16 from October 2nd, 2010 in Seoul, South Korea. "UFC Fight Pass is not affiliated with or endorsed by K-1 Global." 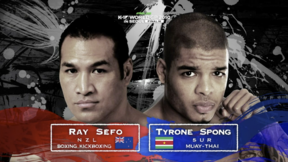 Tyrone Spong vs Ray Sefo K-1 World Grand Prix 2010 in Seoul Final 16 Sat, Oct 2, 2010 (21:11) Tyrone Spong vs Ray Sefo K-1 World Grand Prix 2010 in Seoul Final 16 from October 2nd, 2010 in Seoul, South Korea. "UFC Fight Pass is not affiliated with or endorsed by K-1 Global." Gokhan Saki vs Freddy Kemayo K-1 World Grand Prix 2010 in Seoul Final 16 Sat, Oct 2, 2010 (12:49) Gokhan Saki vs Freddy Kemayo K-1 World Grand Prix 2010 in Seoul Final 16 from October 2nd, 2010 in Seoul, South Korea. "UFC Fight Pass is not affiliated with or endorsed by K-1 Global." Daniel Ghita vs Errol Zimmerman K-1 World Grand Prix 2010 in Seoul Final 16 Sat, Oct 2, 2010 (14:24) Daniel Ghita vs Errol Zimmerman K-1 World Grand Prix 2010 in Seoul Final 16 from October 2nd, 2010 in Seoul, South Korea. "UFC Fight Pass is not affiliated with or endorsed by K-1 Global." 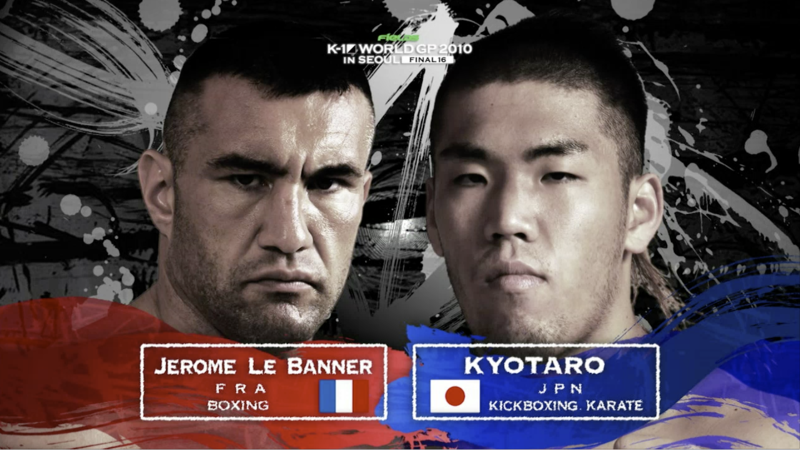 Kyotaro vs Jerome Le Banner K-1 World Grand Prix 2010 in Seoul Final 16 Sat, Oct 2, 2010 (22:20) Kyotaro vs Jerome Le Banner K-1 World Grand Prix 2010 in Seoul Final 16 from October 2nd, 2010 in Seoul, South Korea. "UFC Fight Pass is not affiliated with or endorsed by K-1 Global." Peter Aerts vs Ewerton Teixeira K-1 World Grand Prix 2010 in Seoul Final 16 Sat, Oct 2, 2010 (26:33) Peter Aerts vs Ewerton Teixeira K-1 World Grand Prix 2010 in Seoul Final 16 from October 2nd, 2010 in Seoul, South Korea. "UFC Fight Pass is not affiliated with or endorsed by K-1 Global." Mighty Mo vs Raul Catinas K-1 World Grand Prix 2010 in Seoul Final 16 Sat, Oct 2, 2010 (19:45) Mighty Mo vs Raul Catinas K-1 World Grand Prix 2010 in Seoul Final 16 from October 2nd, 2010 in Seoul, South Korea. "UFC Fight Pass is not affiliated with or endorsed by K-1 Global." Semmy Schilt vs Hesdy Gerges K-1 World Grand Prix 2010 in Seoul Final 16 Sat, Oct 2, 2010 (20:59) Semmy Schilt vs Hesdy Gerges K-1 World Grand Prix 2010 in Seoul Final 16 from October 2nd, 2010 in Seoul, South Korea. "UFC Fight Pass is not affiliated with or endorsed by K-1 Global." 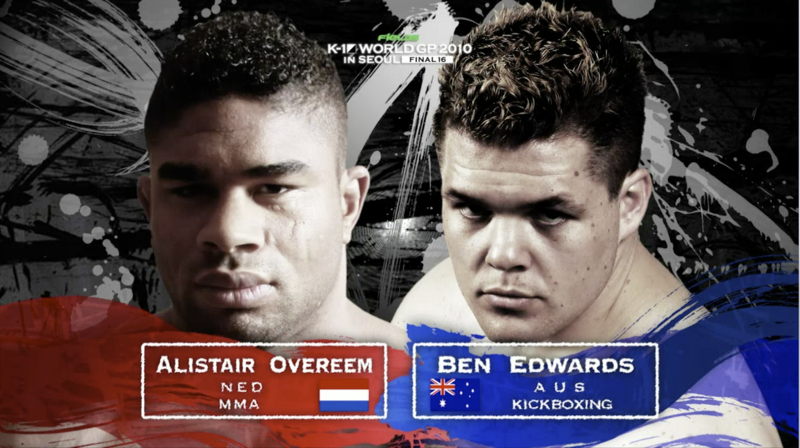 Alistair Overeem vs Ben Edwards K-1 World Grand Prix 2010 in Seoul Final 16 Sat, Oct 2, 2010 (10:45) Alistair Overeem vs Ben Edwards K-1 World Grand Prix 2010 in Seoul Final 16 from October 2nd, 2010 in Seoul, South Korea. 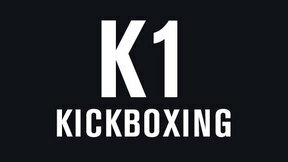 "UFC Fight Pass is not affiliated with or endorsed by K-1 Global."